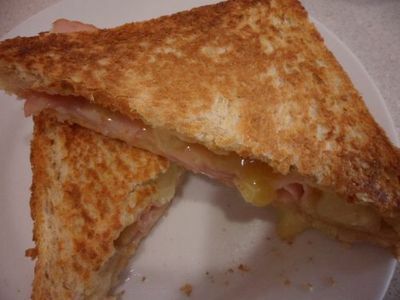 Just about any filling, when squashed between two pieces of bread and toasted in a sandwich press, can make a scrumptious lunch! 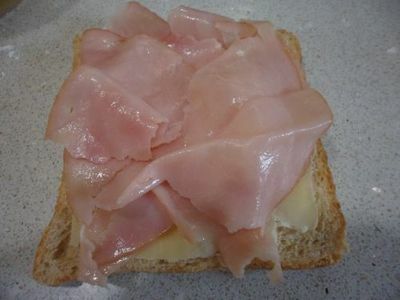 Toast the day's leftover sandwiches to bring them back to delicious life. 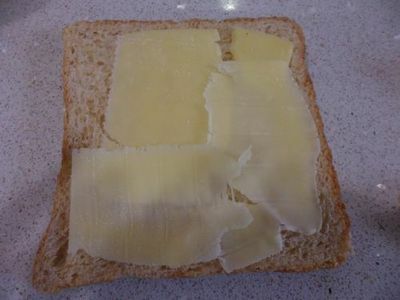 Place a layer of cheese on the bottom piece of bread. 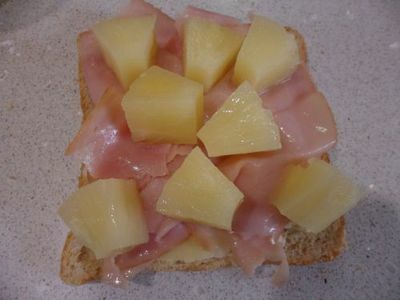 Add a layer of pineapple or pineapple pieces. 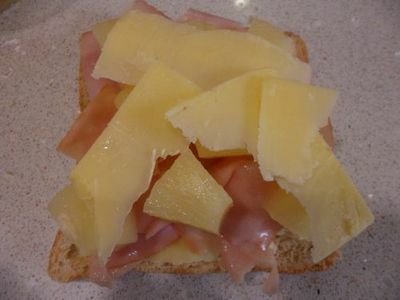 Place a final layer of cheese on top. 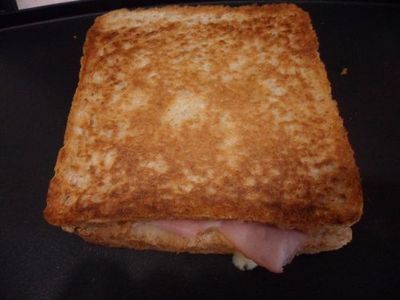 Top with the second piece of bread and toast in a sandwich press until the bread is golden brown and the cheese has melted.